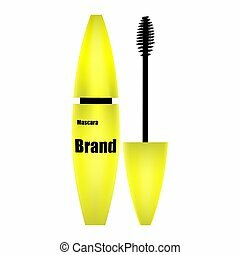 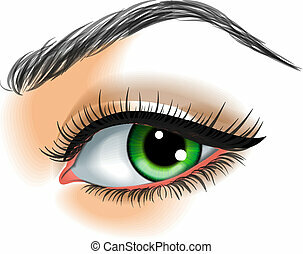 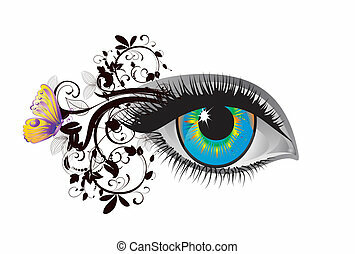 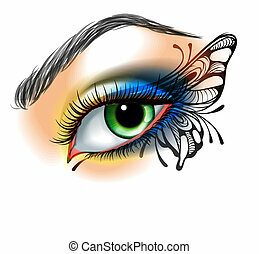 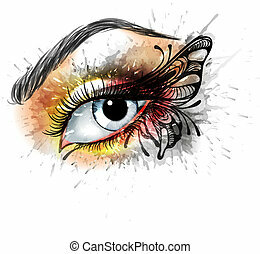 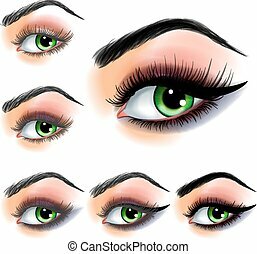 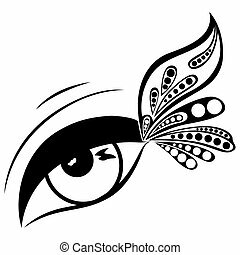 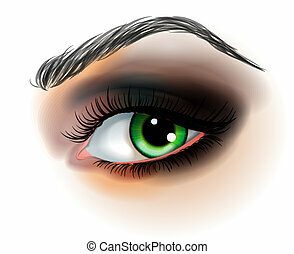 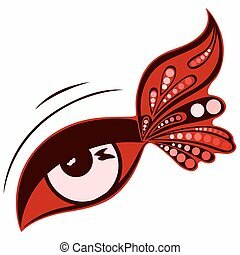 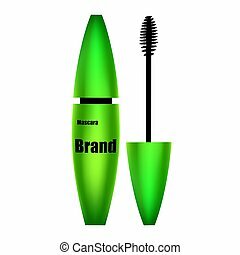 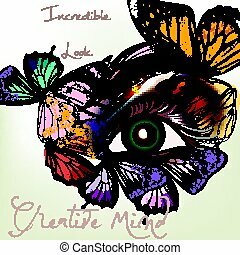 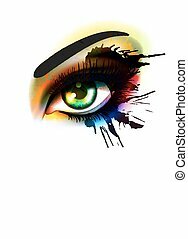 Eye make up with butterfly. 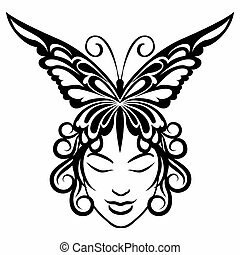 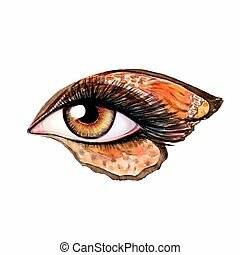 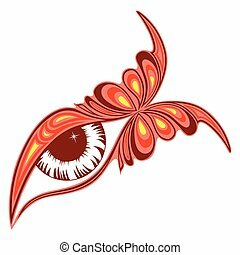 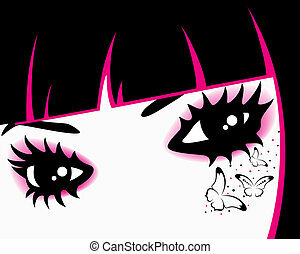 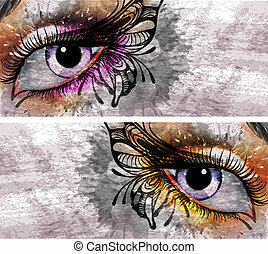 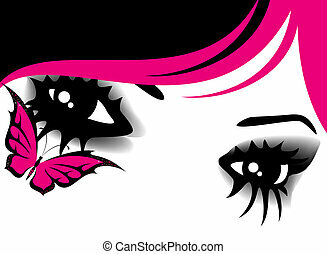 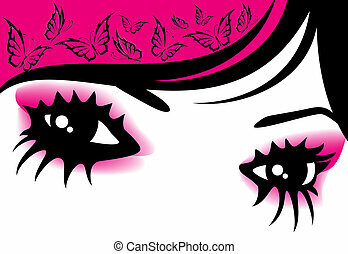 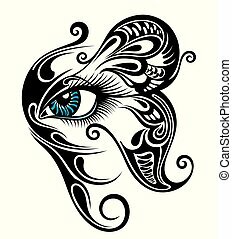 Illustration of young woman face and butterfly hairdress drawn in tattoo style. 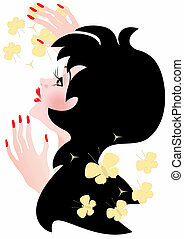 Dark-haired woman with red lips and red nails.Illustration,Portrait.